Preorders for the iPhone XR are better than the equivalents for the iPhone XS and iPhone XS Max, according to Rosenblatt Securities' Jun Zhang, but that hasn't stopped the analyst from reducing expectations for the value-oriented iPhone release. In a note received by AppleInsider, the iPhone XR is believed to have preorders of "less than or equal to 12 million units," based on a one-week wait time in China and no wait time in other major markets. In the firm's September 17 note, the combined pre-orders for the iPhone XS and iPhone XS Max were around 10 million in the first three days. After just one day of preorders, Zhang believes the initial sales of the iPhone XR are weaker than previous expectations, with 12 million units thought to be shipped to retail channels before October 26. Shipment estimates for the iPhone XR are also down overall for the second half of the year, reducing from 50 million units to 46 million. It is suggested that, while the iPhone XS and iPhone XS Max preorders have been generally stronger in the United States than in China, the revers has occurred for the iPhone XR, with tracked preorder data indicating approximately 2 million units in the first three days. The iPhone XR preorders are apparently similar to the iPhone 8 and 8 Plus preorders from last year, and higher than the 1.5 million iPhone XS and XS Max preorders. 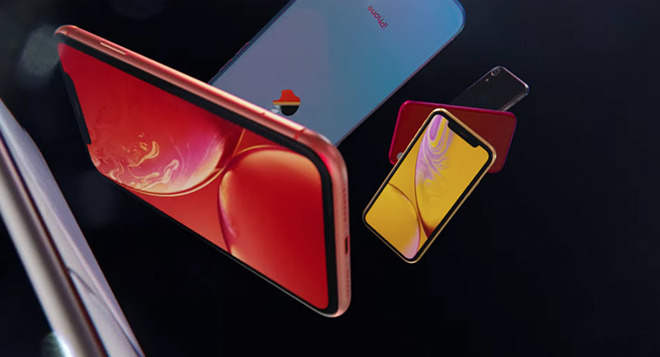 "This is not a very exciting result," muses Zhang, continuing that there is the belief iPhone XR demand will be lower, prompting Apple to reduce its iPhone XR production for November and December by about 3 million to 4 million units. Zhang is also cautious on iPhone XS sales for the second half of the year, with no anticipated changes to production ahead of the holiday season, though weak sell-through data leads to expectations some production reduction will occur during the holiday season of around 4 million to 5 million units. Shipments of the iPhone XS continue to be at 15 million for the firm. The iPhone XS Max's production is believed to have increased by 2 to 3 million units for the fourth quarter, to build up inventory for holiday sales, though a sell-through cool down is apparently occurring in China as consumers wait for the iPhone XR. Previous second half of 2018 estimates have increased from 15 million units shipped to 17.5 million. For the Average Selling Price (ASP), Zhang suggests it will rise by $80 year-on-year, citing a production increase for the iPhone 7 and iPhone 7 Plus that apparently caused a lower ASP for the second half of 2017. It is also suggested the higher-capacity 512GB models will account for between 40 and 50 percent of total new model sales in 2018, further bumping the ASP upwards. It isn't clear why Zhang believes that the iPhone 7 is gone, as it is still available in the product lineup. The iPhone 8 in the 2018 refresh is taking the place that the iPhone 7 occupied with the iPhone X launched. The iPad Pro is believed will ramp up in October, with iPad increasing its ASP. A new design of iPad Pro, anticipated to be revealed later this month as part of an Apple special event, is tipped to help drive the new iPad upgrade cycle. Little is said about the Apple Watch, except that sales "continue to be strong," which will help with fourth quarter guidance. For Apple's quarterly earnings report on November 1, Zhang believes the revenue and earnings will be in line with forecasted figures of $61 billion and $2.65 EPS, with guide figures for the next quarter in line or slightly better than the firm's own predictions of $91.2 billion and $4.71 caused by new product releases and a higher ASP. While Zhang's comments are in line with some other analysts with regard to the iPhone XR's demand, such as those made by Loup Ventures' Gene Munster on Friday, Rosenblatt's analysis of Apple's supply chain and sales lie generally on the pessimistic side of the analyst pool. AppleInsider's Daniel Eran Dilger has previously highlighted issues with Rosenblatt's predictions relating to the iPhone, including proclamations about the iPhone X that turned out to be wrong. Rosenblatt rates Apple's shares as "Buy," with a price target of $200. At the time of publication, AAPL is currently at $219. Rosenblatt's target price has lagged behind Apple's actual price for the last four years, with the analyst increasing the price over time —but never to where the stock is at that point.